Upon his return to his ancestral homeland, an American man is bitten, and subsequently cursed by, a werewolf. 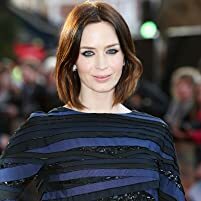 Take a look back at the career of Emily Blunt on and off the big screen. Lawrence Talbot: You have to leave. Gwen Conliffe: What are you afraid of...? 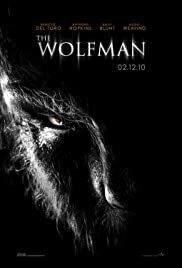 The Universal logo at the beginning of the film is the 1940's logo used in the original "The Wolfman"
Ben Talbot's death is slightly longer. An entirely new sequence showing Lawrence Talbot performing in a London play. Gwen Conliffe visits him in his dressing room post-show and interrupts a party to inform him that his brother Ben has gone missing. 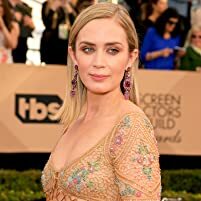 Lawrence dismisses her by saying that he cannot help as he is contracted to do 30 performances and is leaving for the States in the morning. This sequence creates an anachronism/goof later in the film as instead of mentioning her visiting him in London, Lawrence continuously references a letter that Gwen sent him which brings him to Blackmoor (as seen in the theatrical version). As Lawrence travels by train to Blackmoor, there is a scene with an uncredited Max Von Sydow as an old man who gives Lawrence his silver wolf-head cane as protection (the cane that Sir John Talbot wields at the end of the film). The tavern scene is slightly longer. After MacQueen's "melted down me mum's silverware" story, the villagers scoff at the notion of the killer being a werewolf, and blame the Talbots' misfortune on their dealings with the gypsies. 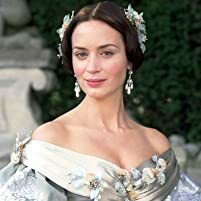 One of the villagers calls Lawrence's late mother a "crazy gypsy whore", and Lawrence angrily confronts him and throws a drink in his face. After Lawrence is kicked out of the tavern, the villagers realize his identity. Lawrence's conversation with Singh is slightly longer. After Lawrence asks him why he never left Blackmoor, Singh explains that Sir John saved his life many years ago and that as a result he vowed to stay by his side. The mausoleum transformation scene is slightly longer. The London chase scene is longer. The Wolfman walks into a costume party / opera performance and is mistaken for a costumed patron. He attacks one of the patrons but is chased off by Aberline and his men. Additionally, the Wolfman crashes a puppet theater performance in a park and kills the puppeteer. Aberline chases him out of the park and into the path of a steam engine (as seen in the theatrical version). The final fight is slightly longer and sequenced differently than the theatrical version. Q: What part of the Wolfman is CGI? Q: Any recommendations for other movies featuring werewolves? Q: What language were the Gypsies speaking? This movie has it all. Great actors, great music, a great setting and mood, great CGI and special effects, just great everything. And on top of that, you got a werewolf running around. I would also heavily recommend watching the unrated directors cut of this movie, it goes much deeper into the story and clears up some of the confusion in the theatrical version and also adds some more action packed violence in the middle of the film. I was a skeptic before watching this movie because of some of the reviews but to me this movie deserves much more attention than it got. For me, it's a must watch and I would recommend this to anyone who is looking for a great way to spend some time on a full moon lit night.